All teams are assigned a 15′ x 15′ site in our Athlete’s Village. Please bring a canopy so you and your teammates have a shady place to gather; 10′ x 10′ works well. Other good ideas: camp chairs, coolers, and towels. Please do not bring grills, tobacco, or alcohol! Then get your spirit flowing and come up with your unique and spirited decor. You may set up your tent site anytime after 3 pm on Saturday. There will be a security guard on duty at the waterfront Saturday overnight, but items left at tent sites are left at your own risk. The Athlete’s Village Map and Team Sites Listing work together to indicate where your team will gather for all the fun and festivities. 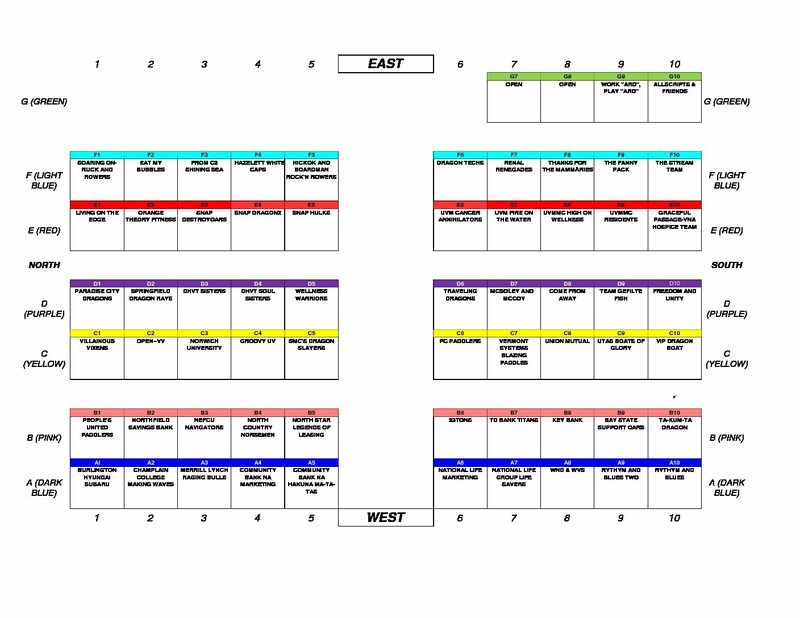 The 2019 Athlete’s Village map will be posted one week before the festival. Meanwhile, get a sense of how things work from last year’s map.